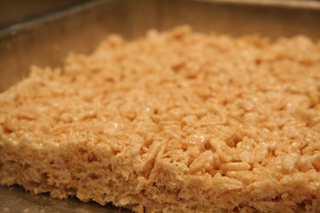 Every recipe book, website or blog has to have the staple rice krispie treats recipe. I was surprised to learn this site did not have one, that is until now. A simple and delicious treat. I think I’ll go make (and eat) a pan right now.